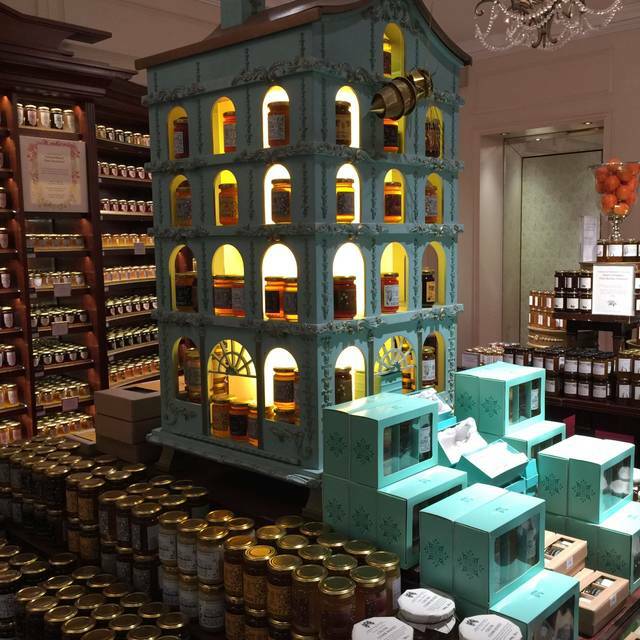 Fortnum & Mason's award-winning Afternoon Tea has been an essential part of Piccadilly visits - for Fortnum's visitors new and old alike - for centuries. 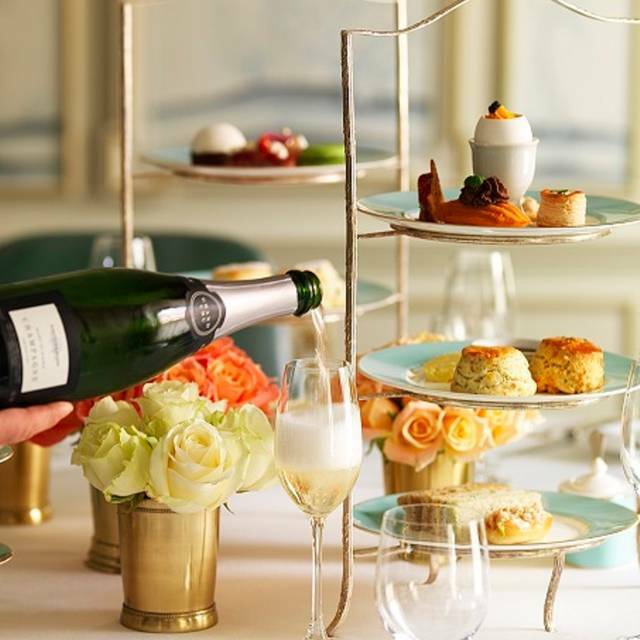 Served in signature Fortnum's style in the elegant and refined surroundings of the Diamond Jubilee Tea Salon, every scone, cake and sandwich is fresh-baked by Fortnum's chefs. A truly iconic and very British experience, from first sip to final crumb. Our overall experience was excellent, and the tea was delicious. I had the gluten free afternoon tea - the GF bread for the sandwiches was nice and the scones were outstanding. The desserts were not very nice, however I understand it can be difficult with gluten free restrictions. Our server seemed to be very busy and not as attentive as one would expect in this setting. 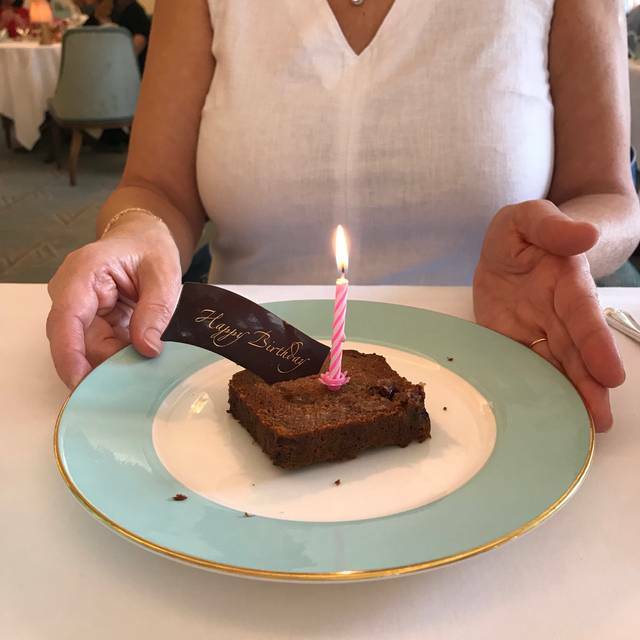 Mum and I went for afternoon tea to celebrate our big birthdays this year and it was wonderful. The pianist was very good, food was great and the scones and small desserts were gorgeous! They sent us home with Victoria Sponge and Banana cake too because we were full. Lovely experience. Service was a bit slow, however, staff was very friendly! Very attentive service and even though there were a few mishaps with dietary preferences, everything was resolved with enthusiasm and politeness. While the food and the room were excellent, the service and the tea were poor. Regarding service, staff came to our table rarely and did not provide additional information regarding the teas. Regarding tea, it was served in the hot water which means that it had been in the water for way too long. Staff were really helpful and went the extra mile to make our time there even more enjoyable. F&M Diamond Jubilee Tea Salon is an unique picturesque venue. Live piano makes the ambient cosy but unfortunately it was too busy and noisy to enjoy the live music. The food (sandwiches and sweets) is good but not remarkable. The waitress was kind at 1st moment but when he brought the bill he was very pushy mentioning the service was not included and it should be better to pay in cash. Then, we realised why he was very friendly before. I wouldn't come back for the tea. Instead, I would spend on the food hall. I like their tea very much and I bought home much tea and cookie. Amazing experience with friendly staff. Palm to go again soon. Gorgeous venue and top notch food and service. Wonderful for the true tea experience! Amazing service, decor, and food. They refreshed quickly and often. They helped us choose the right tea for us and checked on us often incase we wanted to change flavors. The whole experience was amazing...but we had a table filled with children a few spots away which brought not only the noise level up but I could hear the parents trying to wrangle them to behave. ( to no avail) while not the restaurants fault, I did have to knock up the noise level. It was busy and the service was very slow. Hopefully when we next visit it won’t be so bad. Beautiful scones, highly efficient waiting staff, enjoyed this afternoon tea. On my visit previous to this I had the savory tea. I found the biscuits on which the cold items rested to be soft from refrigeration and not good; and the pea/coconut savory had no coconut flavor. I was brought the wrong tea at first and the waitress never filled my teacup as promised; of course I can do that myself. On my most recent visit the food was more up to snuff but my husband and I were given only one of each sweet item to share, and told that if we required more we could ask. We did so; but I thought this quite stingy. We were brought still rather than sparkling water initially but the waitress apologized and brought us the water we had ordered. The hot items we ordered for our high tea were delicious--lamb Wellington with minted pea puree and Scotch egg. Beautiful food and setting, felt very special and a real retreat from the busy world outside. A friend calls this her ‘happy place’ and I can see why. Very expensive but a precious memory. We decided to do this and we were not disappointed. A friend who used to live in London thought it was a great idea. Service was great. Food was better as well as tea. It's a lovely experience for a special occasion & that's why you don't mind paying £56 per head. Waitress was very attentive, but I'm not someone that likes my plate taken away as soon as I have lifted the last item off it! Why do you get an even amount of sandwiches and scones, but an odd number of cakes? Pretty place with delicious tea and treats. Unfortunately the wait staff forgets you once you have been served. Took 20 minutes just to get the bill. We should have just left. It’s not like this app doesn’t have my card on file and their 12.5% tip is already included so why wait? F and M made a mess of our original booking. Unfortunately the afternoon tea experience itself was uncomfortable temperature wise. We were seated in window with direct sun streaming in (very hot sunny day) so it became very hot very quickly. Brought this to the attention of two different staff members who responded by agreeing how lucky we are to have the sunshine - but don't think they realised that the issue was spoiling our afternoon tea. Became so warm we were taking clothing off and wandered to the other side of the room just to get cooler. My colleague sat in the toilet for 5 mins to get cooler. The air con was working and elsewhere in the tea rooms felt much cooler. Left after eating only about half the afternoon tea as difficult to eat when overheated. On the positive our waiter Jan was very charming. 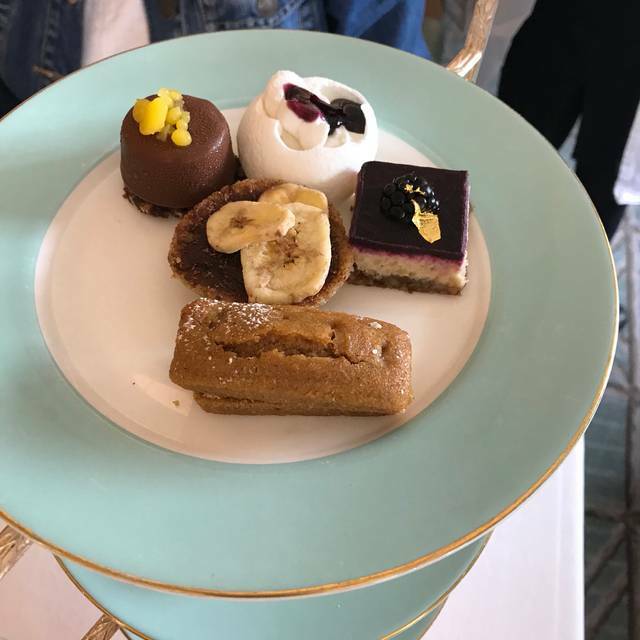 Previous visits have been excellent - we felt the quality of the food this time was significantly lower (in particular the savoury afternoon tea selection) than at previous visits - hopefully just a temporary glitch! Good gluten free afternoon tea, but brought the wrong sandwiches as i am vegetarian as well. Price-performance completely off the mark. No possibility to try only one tea and one pastry. So for the money I prefer to eat a filet. I'm not stingy and like to let something jump for something good, but there is no finger food or tea which justifies the price of £ 132. 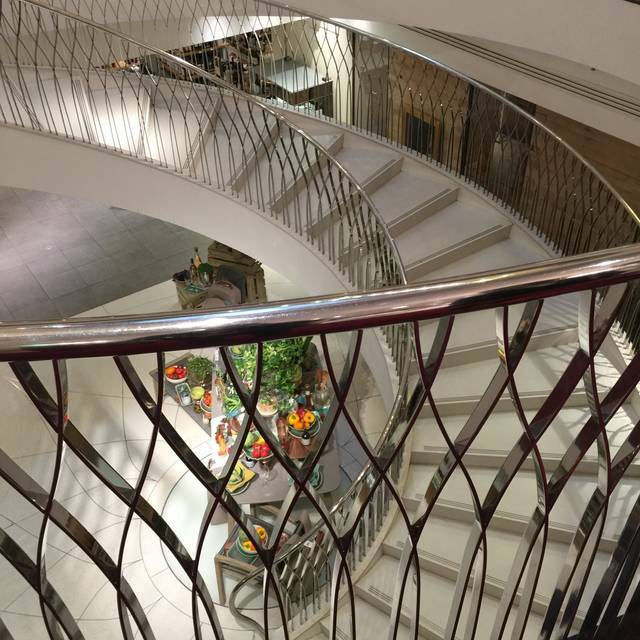 Our favourite place for afternoon or 'high' tea in London. We always love coming back to F&M's :-) Great menu selection catering for all tastes (Vegetarian, Savoury etc.) The 'high tea' means you can have Welsh Rabbit or Eggs Benedict etc. instead of sandwiches. Great if you have missed lunch or will skip dinner - which you probably will given the amount of food available. 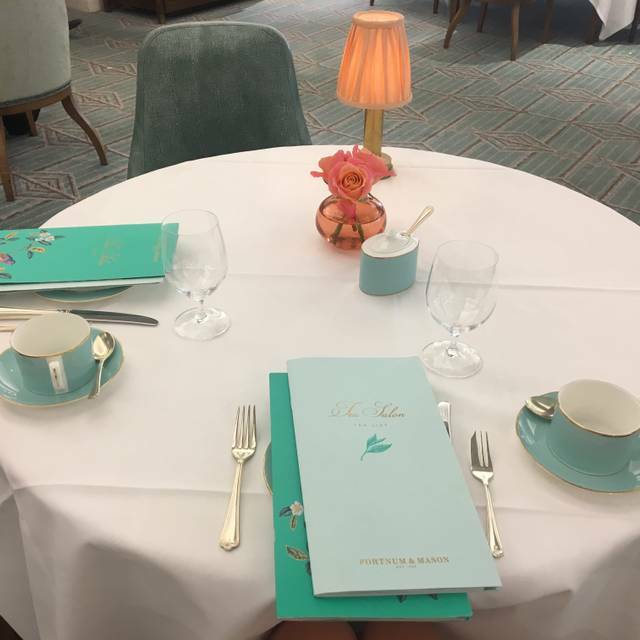 Fortnum's also serve tea later into the early evening so if meeting friends after work this is great option. We always bring cake away with us and this isn't a problem. The staff are friendly and attentive. We will definitely be back. Such a lovely experience and something I do every time I go to London, whether with my husband, best-friend, or most recently with my 11-year old son, who loved it! It was ok but for the price you pay the service was poor. We waited ages for our order to be taken, promised our champagne would come before the tea but they bought the tea. We then throughout had to try and catch staff attention multiple times to ask for things and then they would either take ages or forget completely and we’d have to re ask another member of staff. It’s a nice venue and food is good but service really letting them down. We had a traditional afternoon tea for 2 which started from 11:30. The tea was served around 11:50 but the foods came almost at 12:15. They accepted too many groups which they couldn’t handle at all. When we wanted to ask for another tea or refill for some sandwiches, we had to wait for ages. Then we had to wait another 15min to be served the refill. 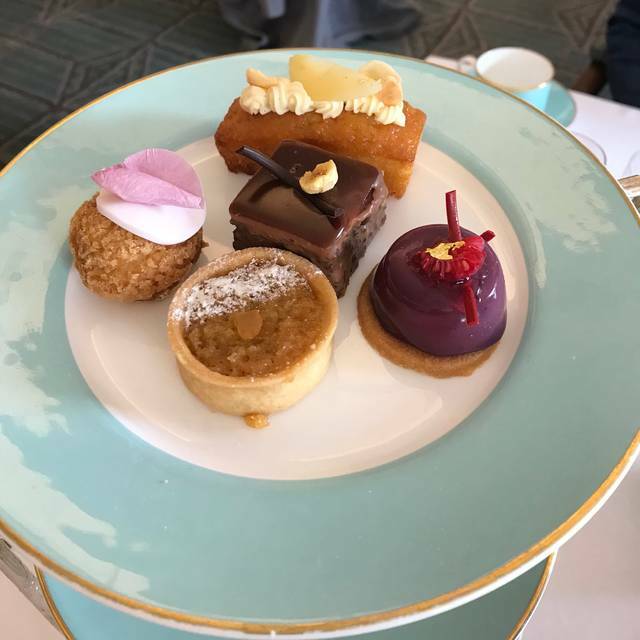 If you pay this amount of money for such poor survive and OK-foods, I highly recommend you to book an afternoon tea with other nice hotels. Lovely tea! An incredible amount of food ( they asked frequently if we wanted anything “refreshed”). They ended up packaging up our cake to go because it was impossible to eat another bite. Very friendly service. Highly recommend! It was heavenly. A space of calm in the middle of a busy city. Wonderful ambience, gracious and helpful staff. The food delicious and plentiful. The tea a delight and the champagne cocktail the perfect addition to our afternoon. We thoroughly enjoyed our afternoon tea. Our waiter Adam provided outstanding service. There were plenty of food to eat and we were encouranged to sample different types of tea too. 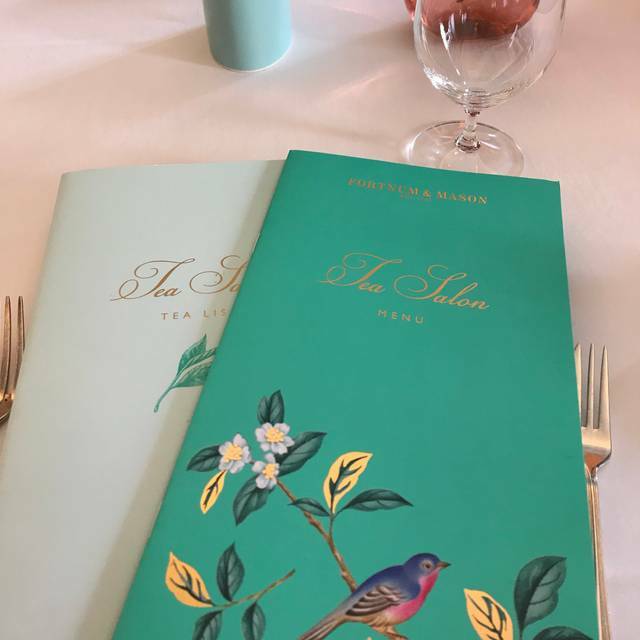 I would highly recommend the Fortnum and Mason for afternoon tea. The service and food was excellent as always. I can’t wait until my next visit. The pianist was wonderful playing a lovely selection of pieces adding to the experience. The experience was very disappointing. The service was very bad. Or waitress/waiter kept disappearing with a new one turning up after a while. Hard to get someone's attention and could never find the same waitress. The afternoon tea was bought yet again by someone else you just pretty much threw it on the table and walked off with no explanation of anything ... Won't be returning. 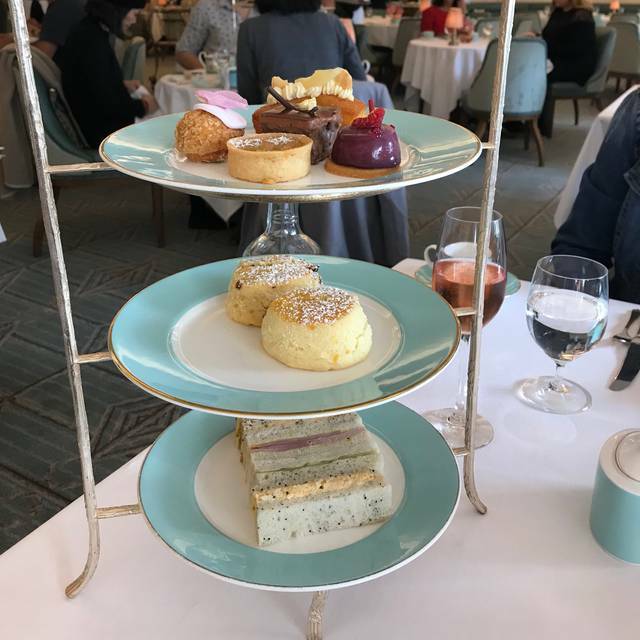 I have had afternoon tea at Fortnum and Mason several times in the past with my family and we have always enjoyed it. This time we went to celebrate my birthday and we were disappointed at how slow the service was. We had to ask at least 4 times before the tea /hot water refills arrived and also had a very long wait before our second round of sandwiches arrived - difficult because we had 2 under 10s with us who were hungry. The food and the ambience was as good as usual but the slow service spoilt the experience this time. Extremely good afternoon tea, service was outstanding. It’s not cheap but certainly worth it for the occasional special treat. Though formal, it certainly wasn’t stuffy and was a relaxing environment.